I hate it. You scroll through facebook, seeing as you go countless clickbait ads and pictures of meals that someone, somewhere, took more time picking out a filter for than the actual cooking itself. Its gotten to the point where it’s surely only a matter of time before recipe books start suggesting “walden” for pasta dishes or “brannan” for soup as the final step to a perfect meal. I mean, just stick it…in your mouth and eat it, for crying out loud. Amongst all this you’re sure to find my real pet peeve – the posts claiming to be having literally the best night ever with ‘friend 1’ and ‘friend 2’. It might sound like jealousy; while I sit at home playing on my tablet the cool kids are out “loving life right now”. But what really bothers me the most is that if you are really having such a great time with ‘friend 1’ and ‘friend 2’, why do you feel the need to sign into facebook and ignore them? This screen obsession with people of my generation, who grew up witnessing the transition from keypads to touchpads, is irritating. What is deeply worrying is that this exists, to an extreme, in kids as young as four years old, who are so addicted to their gadgets that they need psychological treatment. While a study by the University of Bristol has suggested that a two-hour maximum of screen-time is advisable, children are exceeding this recommendation by up to twice as much. There are many vital social skills that we learn during the early years of our life, so what happens when we start to replace social interaction with social networks? A lack of face-to-face interaction can lead to a generation who, according to Dr. Graham of the Capio Nightingale Clinic in London, “are unable to leave the house to go to the corner shop”. One of the reasons why kids love their screens so much is because they can stay in the loop with friends, with networks like Facebook and WhatsApp having become the standard way to communicate. Among expat kids then, this problem is potentially heightened as these platforms provide a viable and practical way to stay in touch with friends from back home or who they made while living abroad. I personally remember spending hours on MSN Messenger talking to friends I had made all over the world, and admit that I would have been none too happy if I hadn’t had this option. The problem that comes with this however is twofold. Firstly, investing too much time in keeping in contact with friends abroad can distract from making new friends in your new country, which is of vital importance in finding happiness in your new home. In no way devaluing the friendships I made in various countries, when I look back on when I was happiest in my different homes it was once I moved on (for want of a better phrase) and threw myself into my new surroundings and the people that came with it. Aside from distracting children from making new friends, it can also hinder their ability to do so. 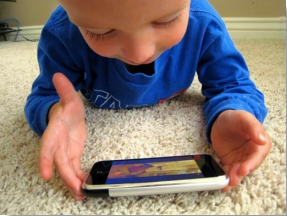 If spending so long in front of a screen prevents the development of social skills in a normal setting, the result of this is exacerbated among expat kids, as the need to adapt to different cultures and customs confuses the process even further. Among the mental and developmental risks associated with too much screen time, physical health risks related to sedentary lifestyles are also brought into the equation. Children are more, unsurprisingly, more prone to obesity, and in young men it can even lead to slower sperm as adults. Use before bed can also result in a lack of sleep as melatonin levels are reduced, resulting in not only tiredness the next day, but a heightened chance of diabetes and cardiovascular disease. Screen-free hour: designate a time of day where all screens must be turned off, encouraging other ways to find fun and interact with people. Chores for wi-fi: change the wi-fi password daily and hold it ransom for chores. Lead by example: if your kids see you looking at a screen all the time, they are going to see it as acceptable behaviour.